Merry Christmas Mr Bean – Bean makes a shambles out of a toy section of a department store and manages to get himself a free turkey and Christmas tree after conducting a Salvation Army band. 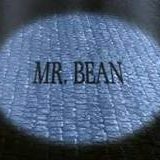 Later, during Christmas dinner, Bean has a surprise in store for his long-suffering girlfriend, Irma. 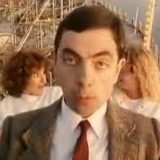 Mind the Baby, Mr Bean – Mr Bean spends an odd day at a Funfair attraction with a baby which he accidentally acquired when his car hooked a pram. Bean finds ways to keep the baby occupied while he goes on his rides. Finally, the baby is returned to its mother and all is well.